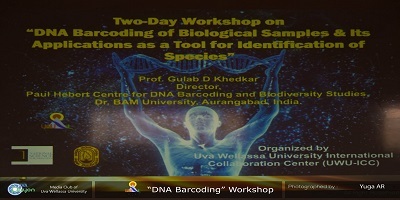 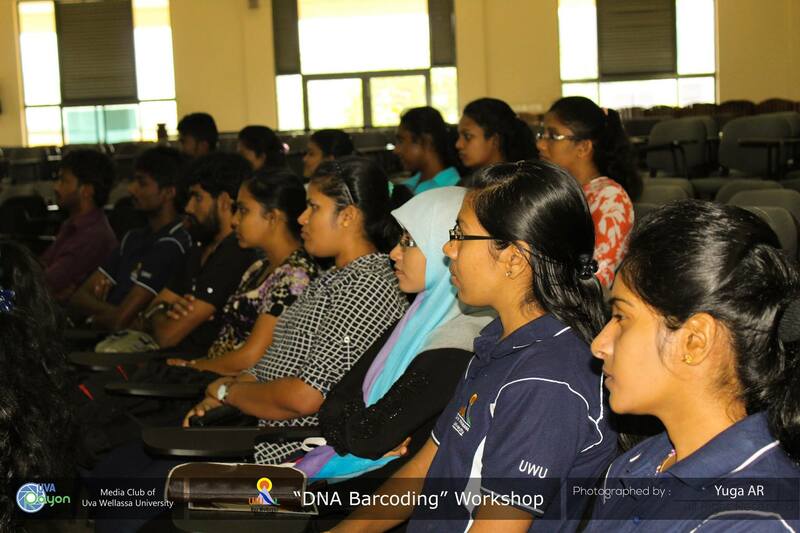 International Collaboration Center of Uva Wellassa University (UWU-ICC) organized a two-day workshop on “DNA Barcoding of Biological Samples & Its Applications as a Tool for Identification of Species” for academic staff members and undergraduates of Uva Wellassa University on 30th September and 01st October, 2016 at the University premises with the collaboration of University of Ruhuna. 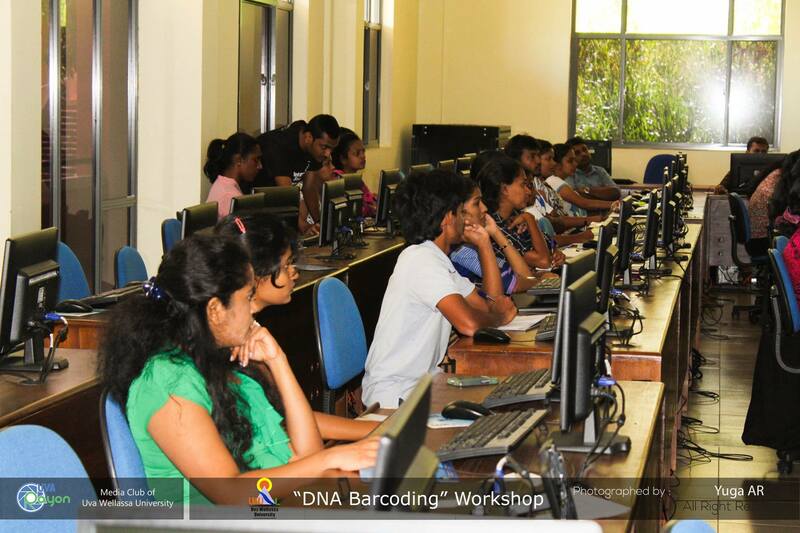 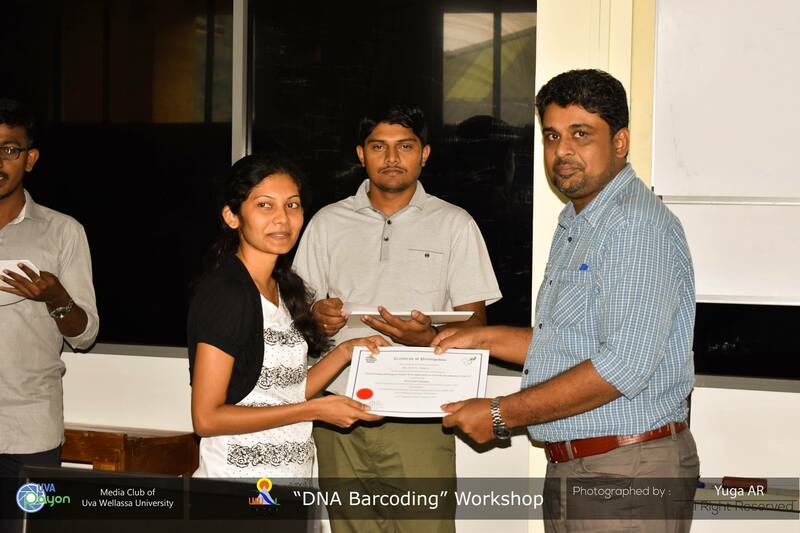 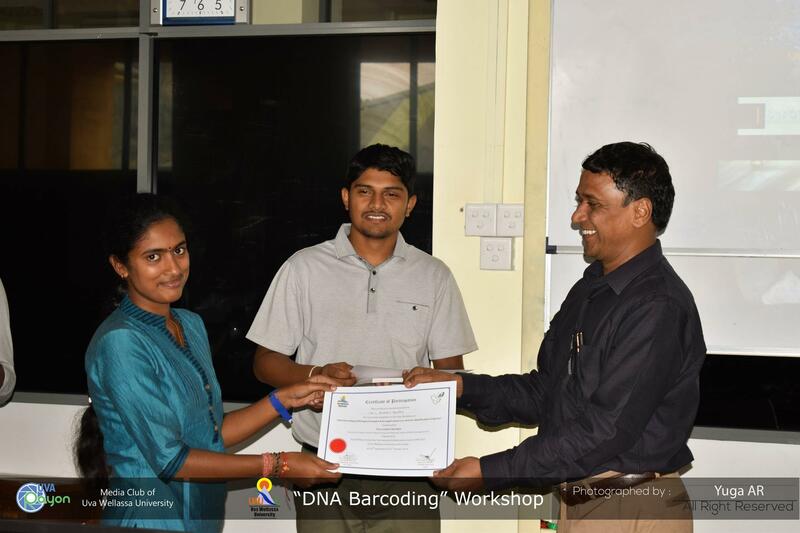 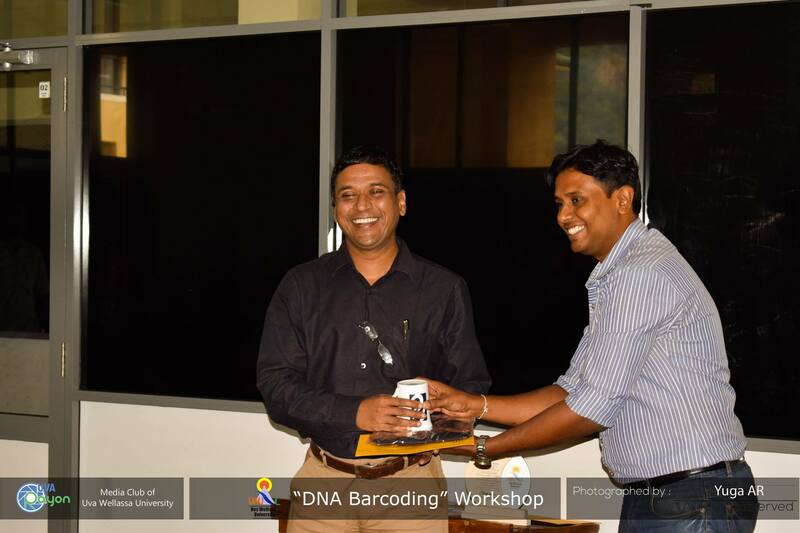 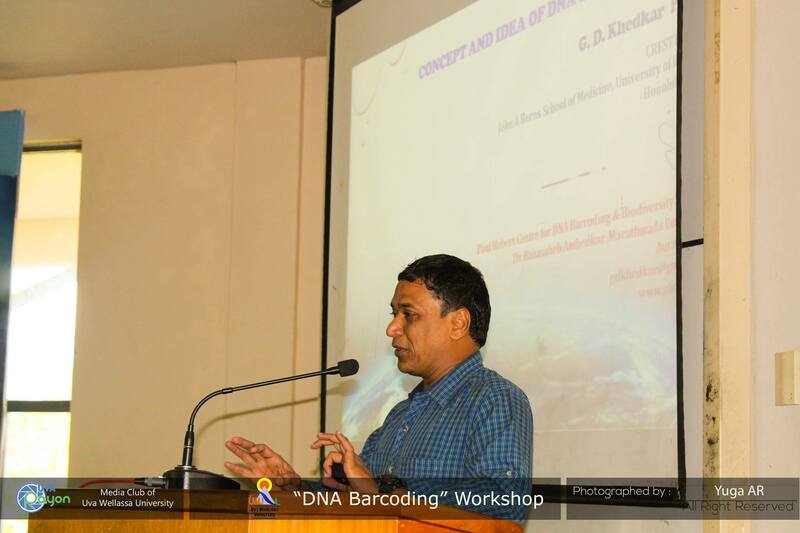 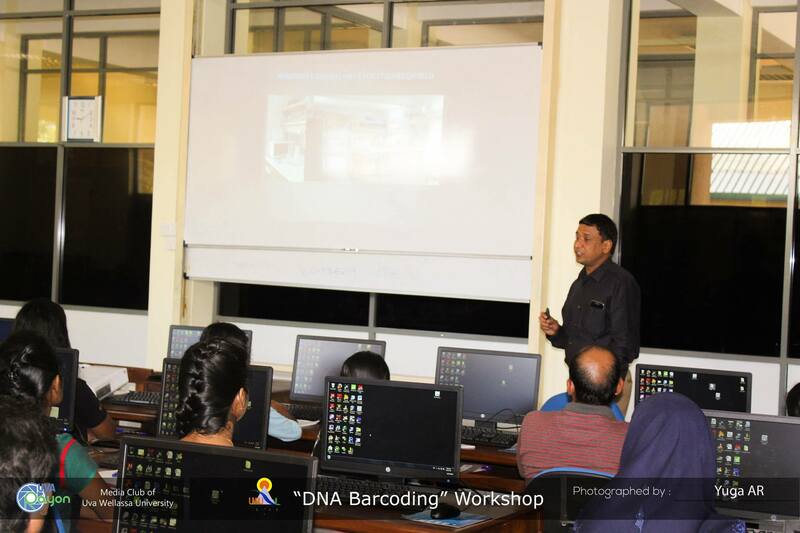 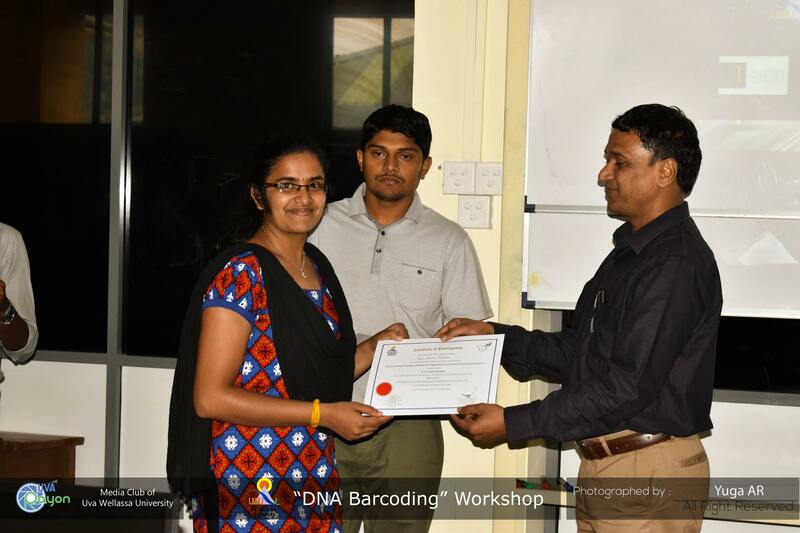 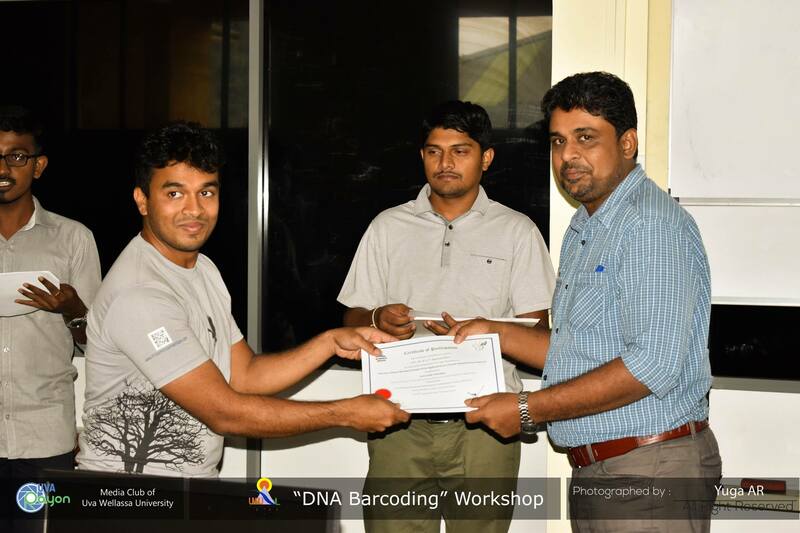 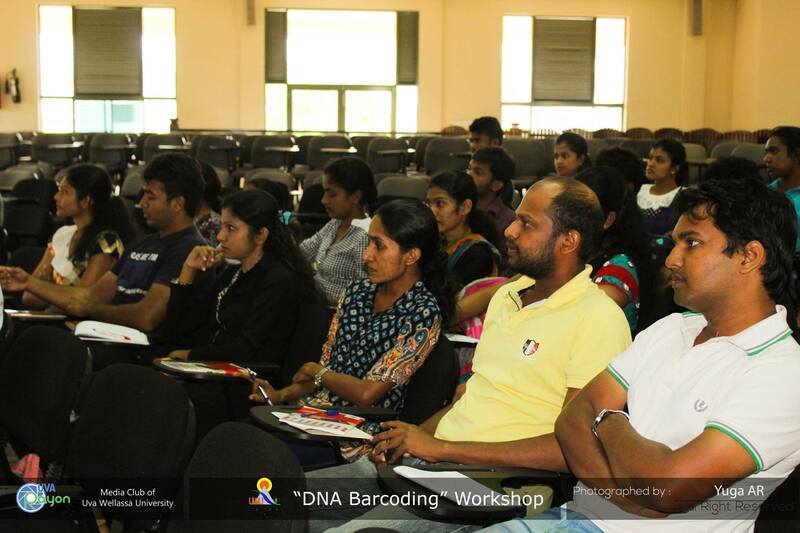 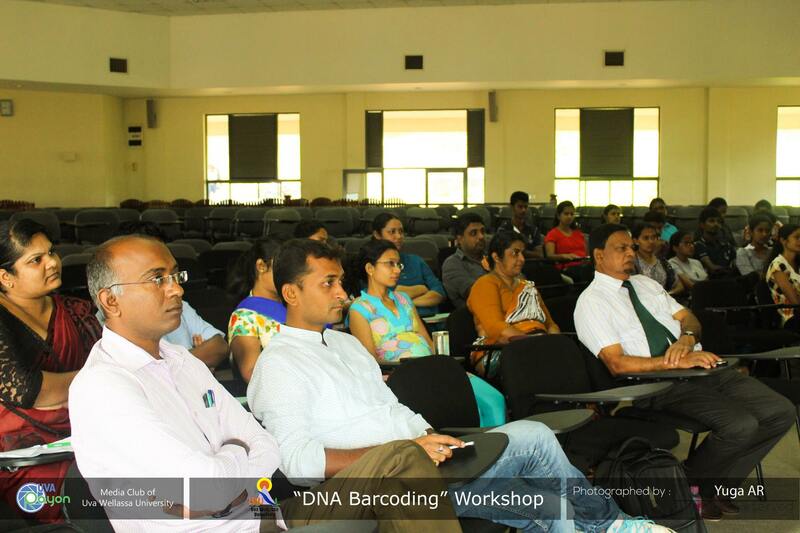 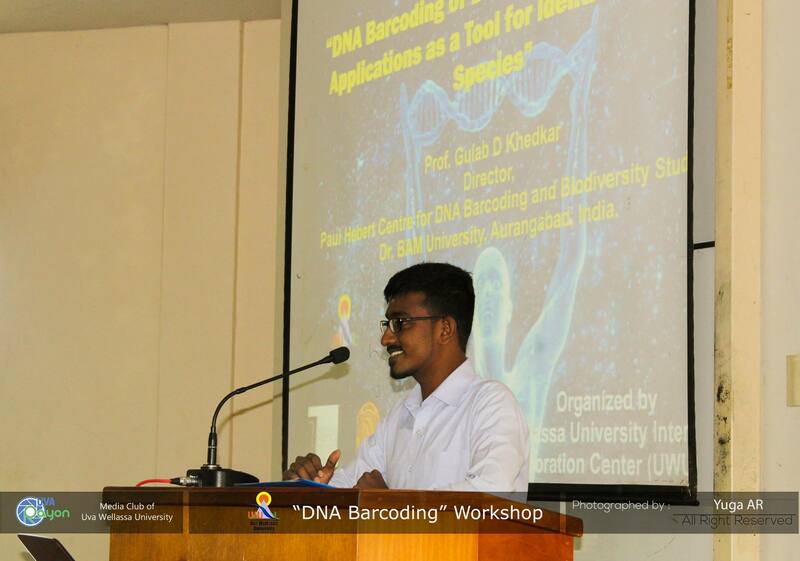 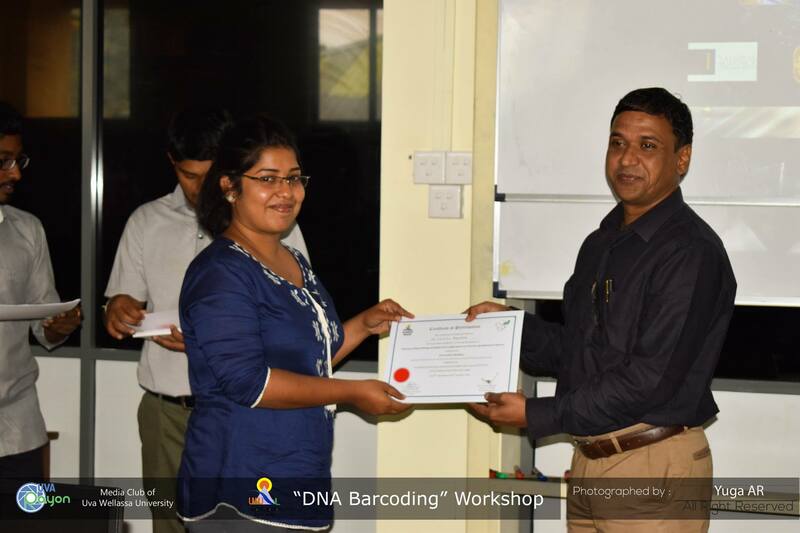 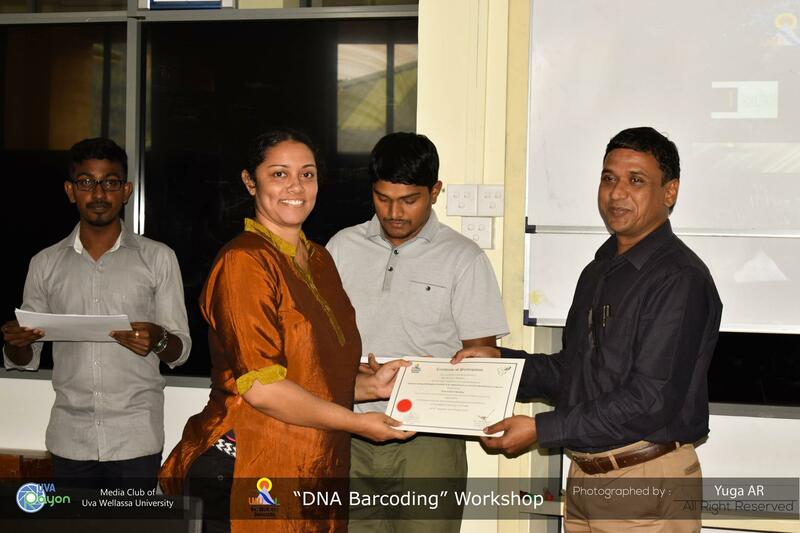 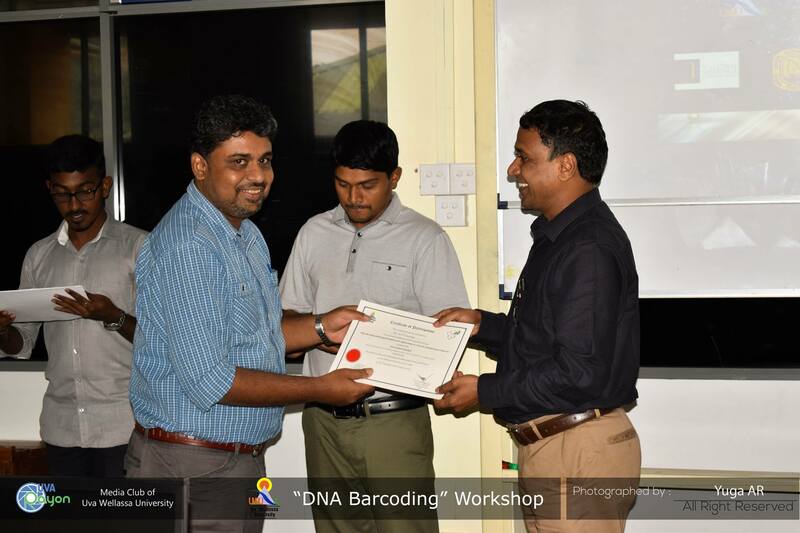 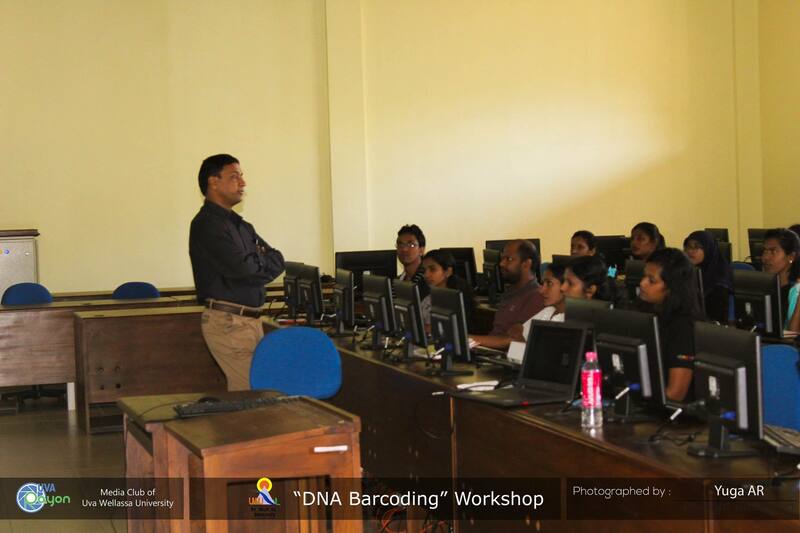 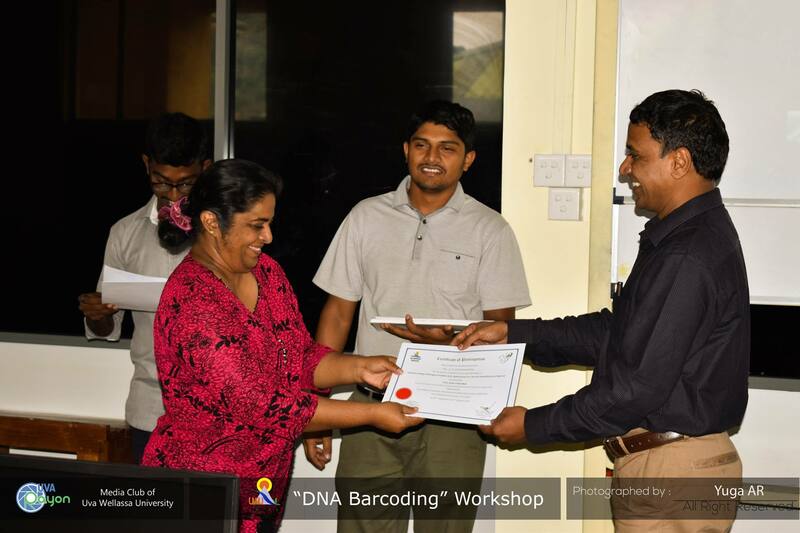 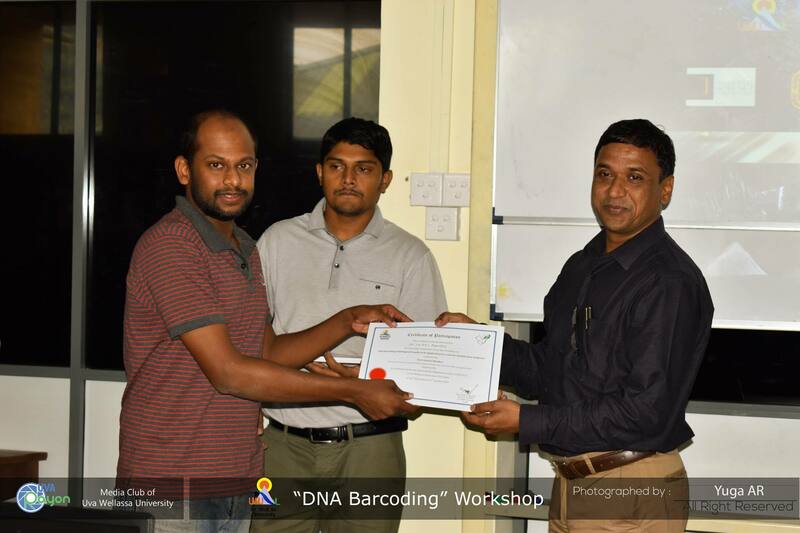 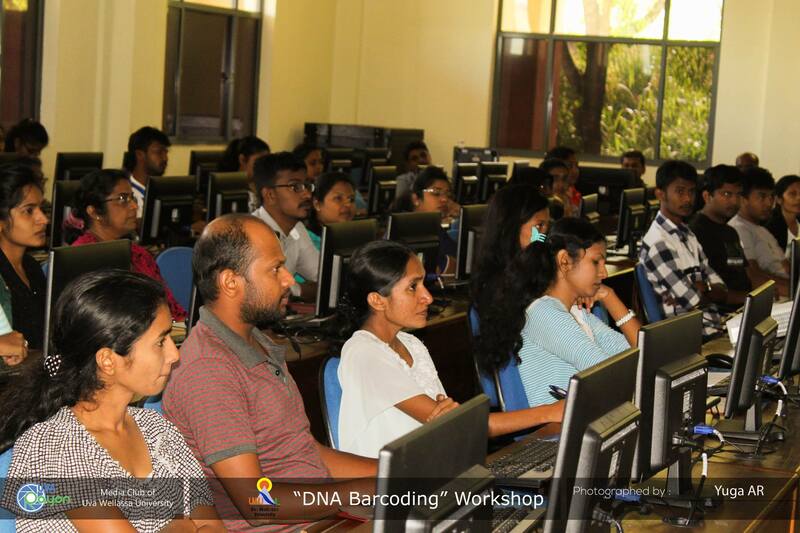 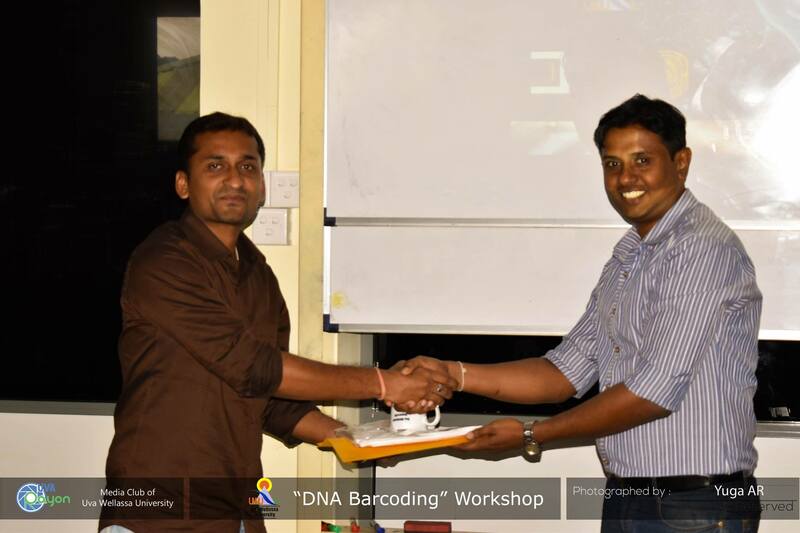 The main objective of this workshop was to give the idea of DNA barcoding and its applications in varies fields to improve the theoretical and practical knowledge of participants. 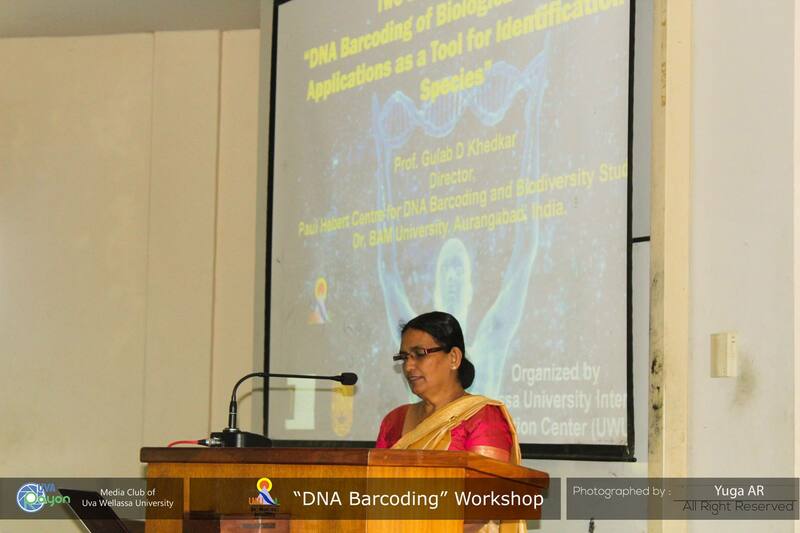 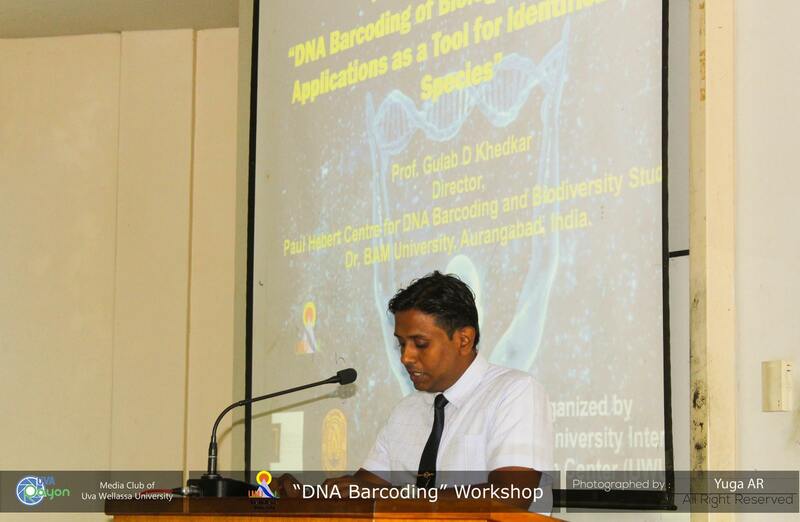 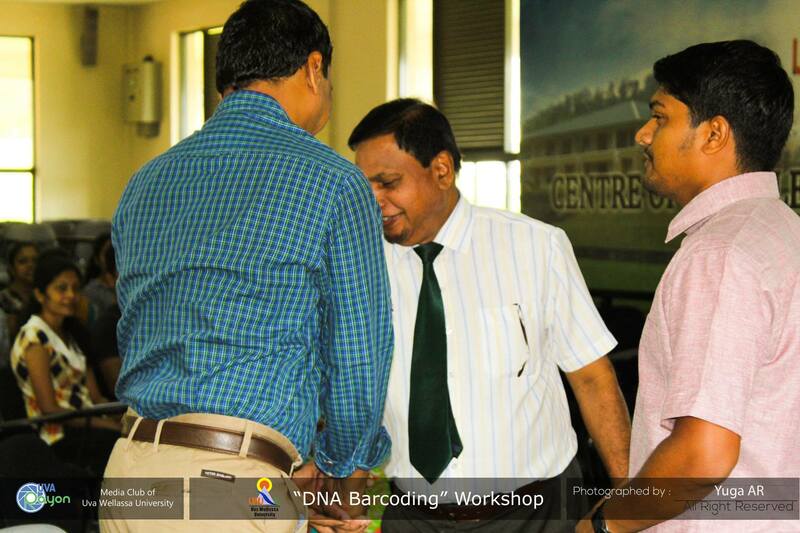 Professor Gulab D Khedkar, Director, Paul Hebert Centre for DNA Barcoding and Biodiversity Studies, Dr. Babashaheb Ambedkar Marathwada University, Aurangabad, India served as the resource person in this special event. 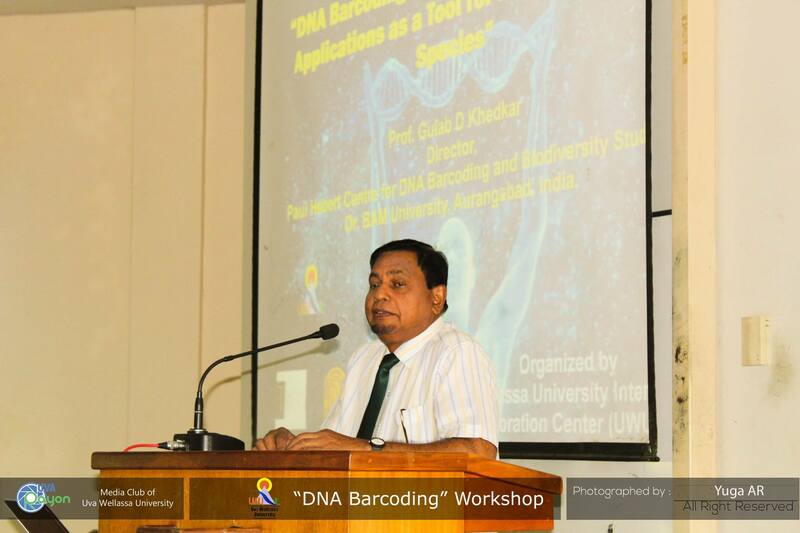 In the inauguration ceremony, Dr. G. Chandrasena, Vice Chancellor of Uva Wellassa University addressed the gathering and stated the importance of DNA Barcoding for developing countries such as Sri Lanka. 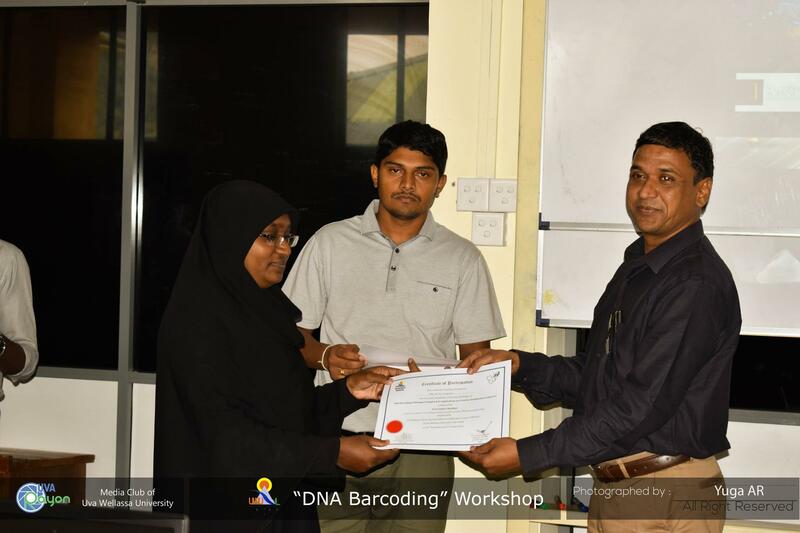 About 60 participants attended in this two-day workshop and it was highly commended by all participants appreciating the aim of sharing the knowledge and experience owned by the resource person among the participants so as to promote the particular study area in the country. 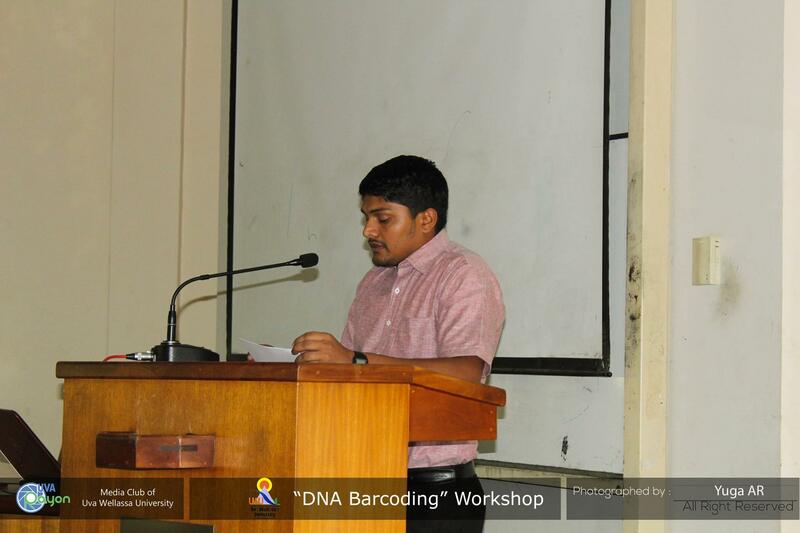 Mr. J.D.M. 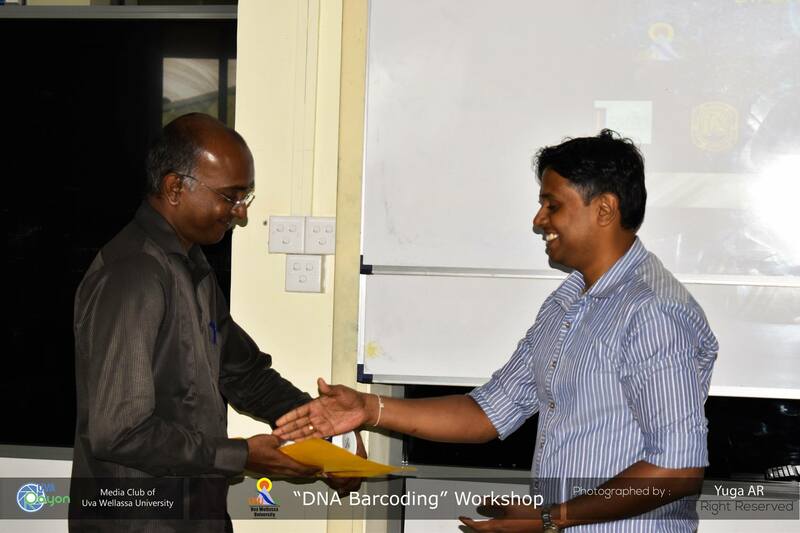 Senevirathna, Lecturer, Department of Animal Science coordinated this workshop with the committee members, Mr. N.P.P. 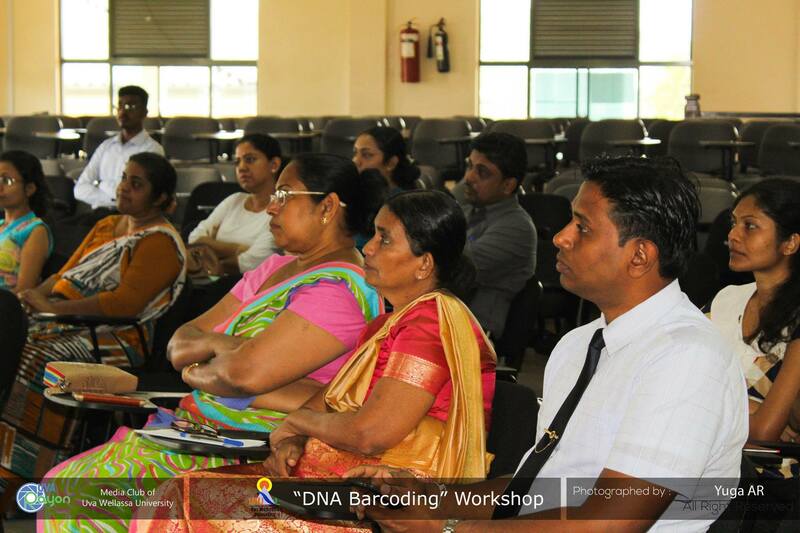 Liyanage, Ms. G.G.N. 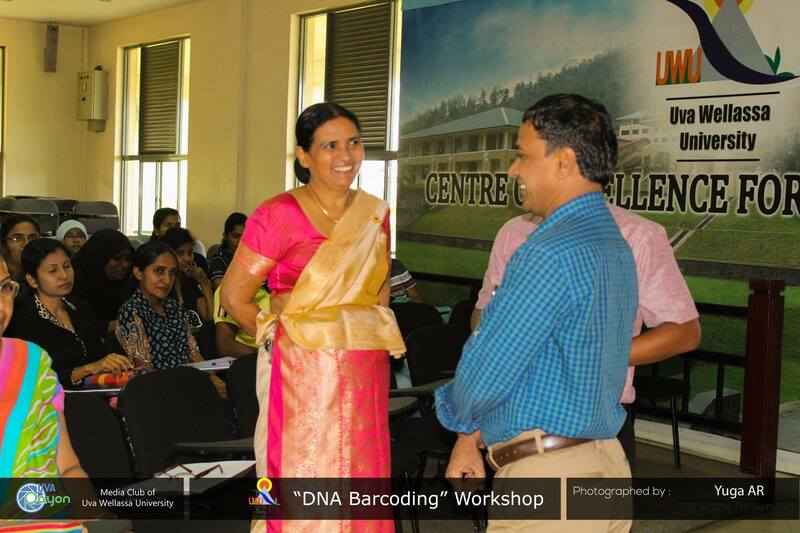 Thushari and Mr. Anand Kumar under the supervision of Dr. D.K.D.D. 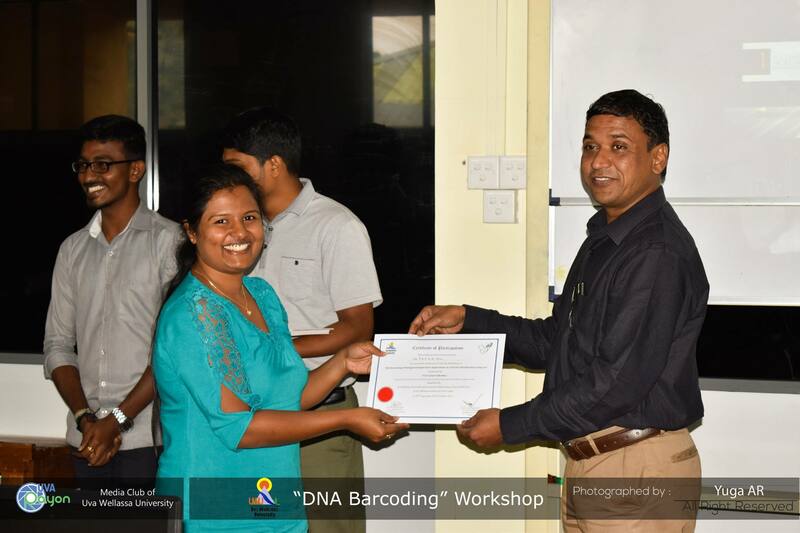 Jayasena, Director, UWU-ICC.